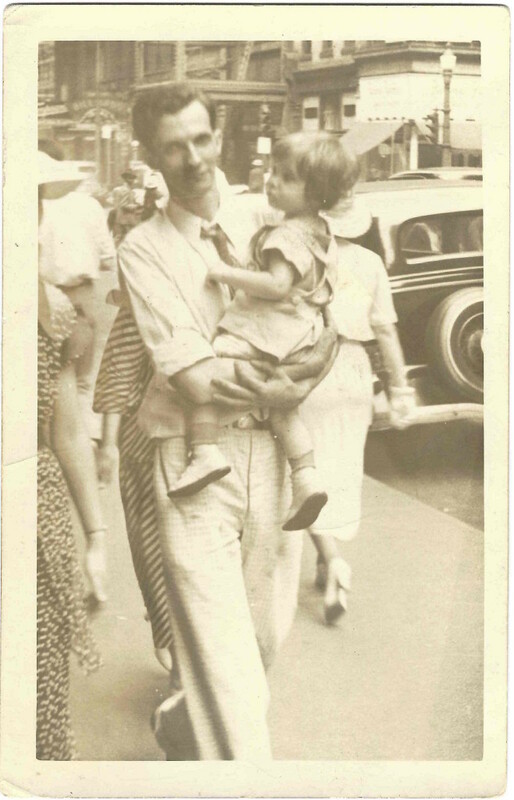 My Dad being carried by my Grandpa. These pictures were given to me by my Uncle John, my Dad’s younger brother. 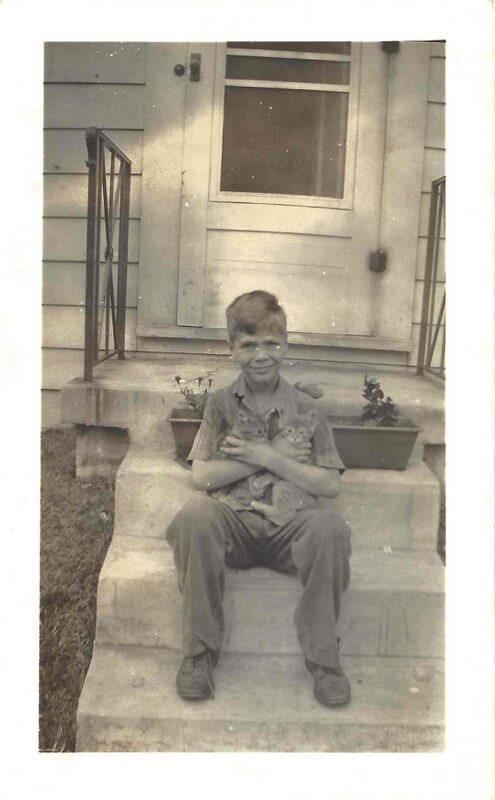 They chronicle the early years of my Dad’s life. This photo above is so poignant for me. I look at it, and think of all that was to come later. 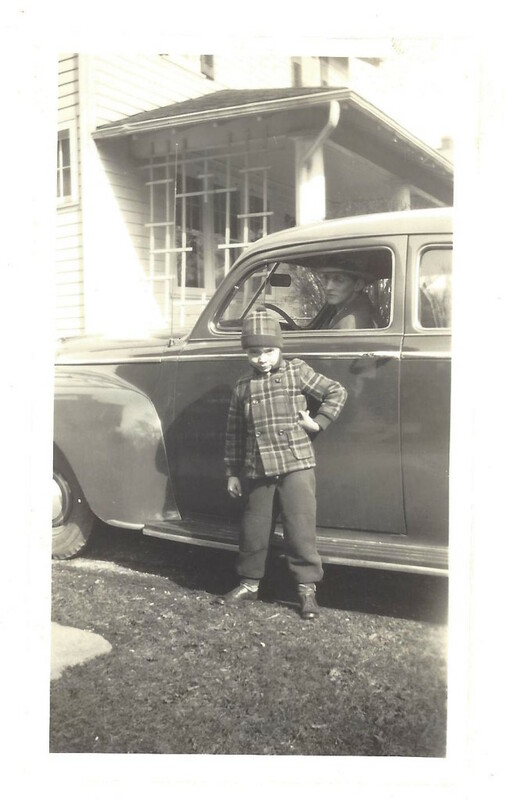 Here he is a few years later, standing next to the family car. His Dad, my Grandpa, is in the driver’s seat. 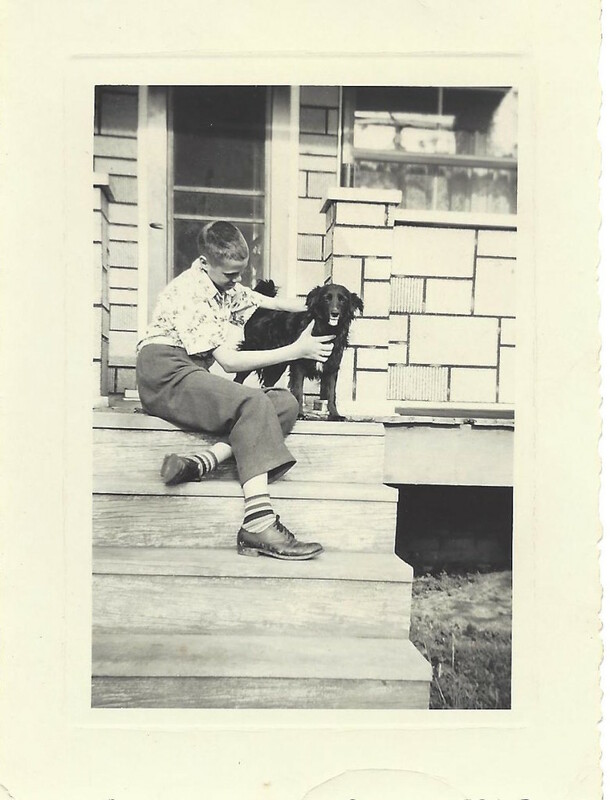 Here is Dad with Penny, a dog that belonged to his Uncle Gerald (his Mom’s brother). 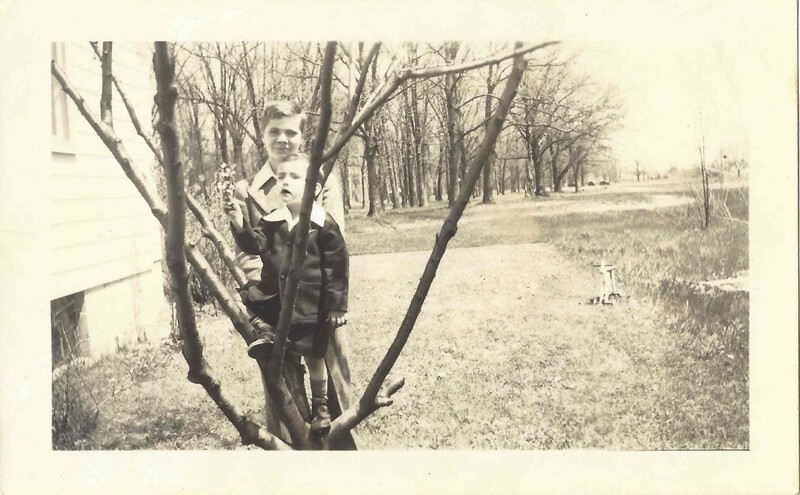 Here is my Dad with his younger brother John (my Uncle). I wonder if this is Easter, or a special occasion. I know he mentioned that they began going to church at some point in when they were living in Columbus, Ohio, when he was maybe 12 or so. 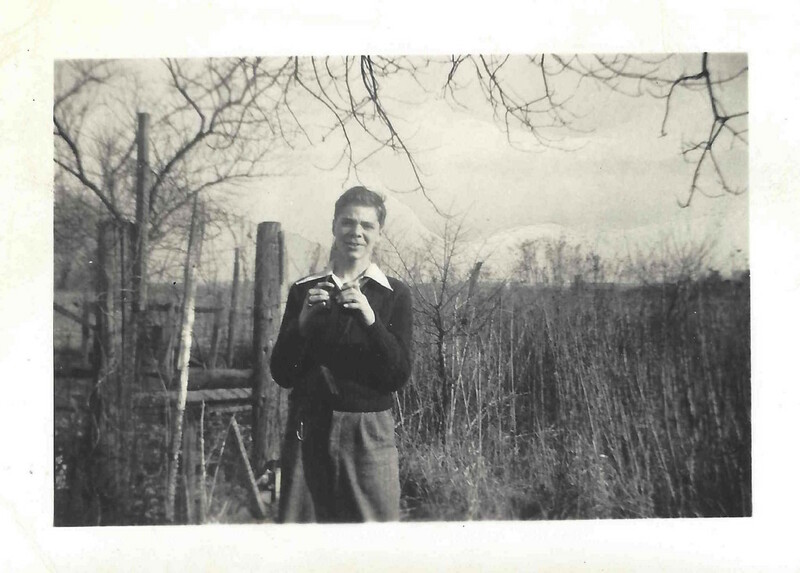 This is probably my favorite – My Dad holding a pair of binoculars. This was taken at the old farm place at Canal Winchester. I still have a pair of his binoculars. I don’t think they’re the same ones as in this picture. In addition to the pictures, Uncle John was able to share some more great memories. When he was growing up they had chickens, a pig and a Jersey or Guernsey cow. Uncle John said my Dad would put him and Stefan up on the cow and give them rides, leading the cow around the yard. He said they had a Serbel refrigerator that operated on natural gas. It had a pilot light underneath. Their favorite treat was to mix Brer Rabbit Molasses mixed into milk. At the Canal Winchester house (7190 Hill Road), for a while they had two gardens. One near the summer house, and the other out on the corner of the lot where the two roads met. I remember, when visiting the old house as a kid, seeing that corner section of the property. Even then it looked like it had once had something growing there. In this larger corner section, Uncle John said, they raised corn and potatoes. One year they tried peanuts but they didn’t grow very well. The garden on the other side, near the summer house, was very rich dirt. There they raised watermelon, cantelope, squash, cucumbers, tomatoes, green onions. Required constant weeding, and shooing away the rabbits, birds and ground hogs. They raised a type of squash that looked like goose neck squash but it was red and yellow. He said Grandpa (his Dad) was always trying different varieties of garden crops. He would order a lot of seed from Burpee, Uncle John said. This same space was still being used as a garden when I was visited there as a kid, not by Grandpa but by someone Grandpa knew. 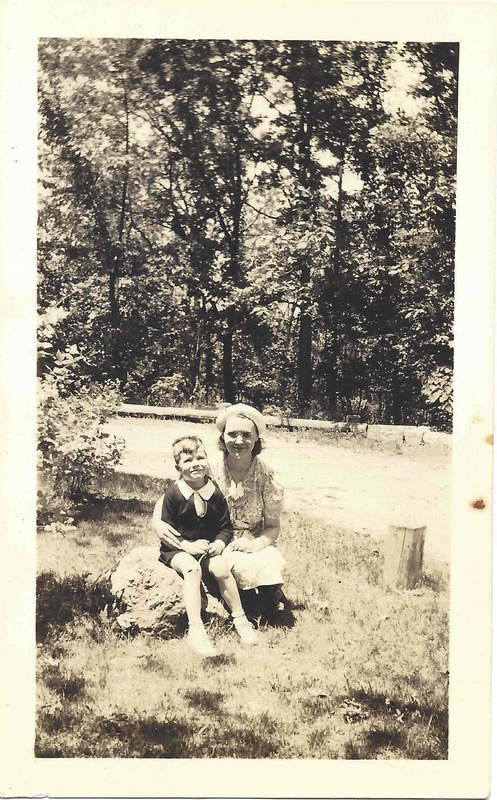 Uncle John said the garden at that point was being used with Grandpa’s permission by a couple associated with Bolenbaugh Hardware Store. Next Next post: Barn Owls in Orange County NC?